The Cervidae is a family of animals that include deer and elk. 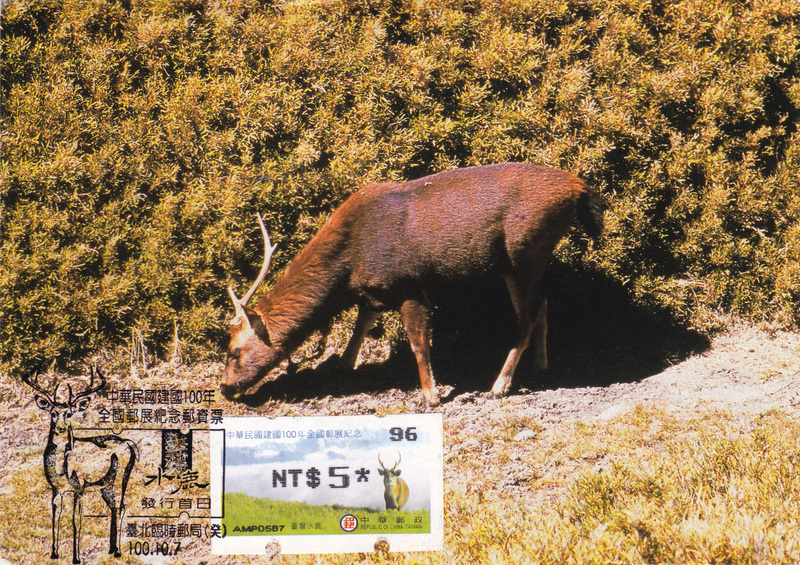 Deer live all over the world, and I have two cards, one from Canada and one from Taiwan. 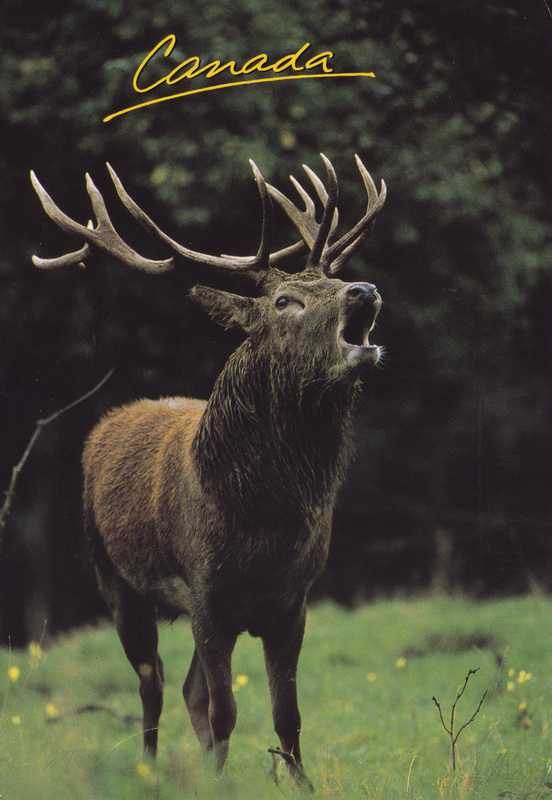 This large male elk looks like he’s bugling, which is used to call a mate. The loudest and most talkative males are the most attractive. This card comes from AlbertaGirl71. This card comes from shui and shows a Formosan Sambar, native to Taiwan. This one is also a male, as only the males have antlers. The sticker on the front is not a postage stamp, as I thought, but a ticket to the postal museum. I like these Canadian stamps showing insects. They are so beautiful! The stamp on the far right says that it shows “The Big Potato” in O’Leary, Prince Edward Island. I couldn’t find information about the Big Potato, other than learning that Prince Edward Island is home to a potato museum and is known for their potatoes. I had no idea!